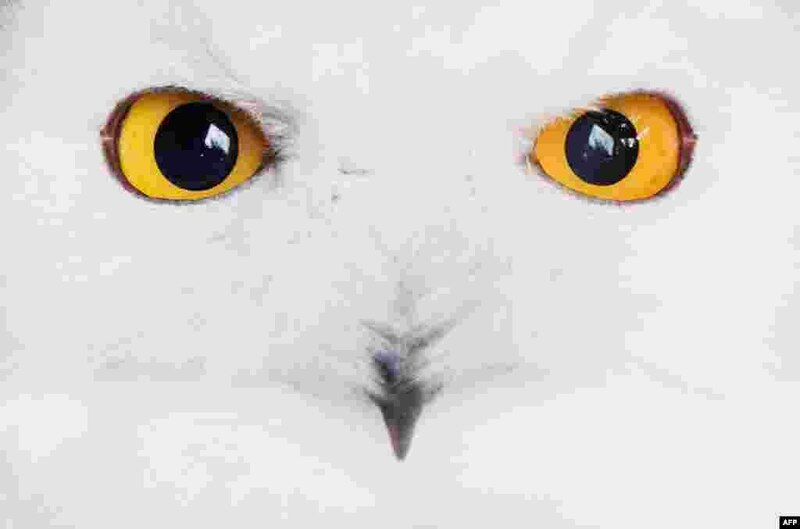 5 An owl is pictured in Hannover zoo in Germany. 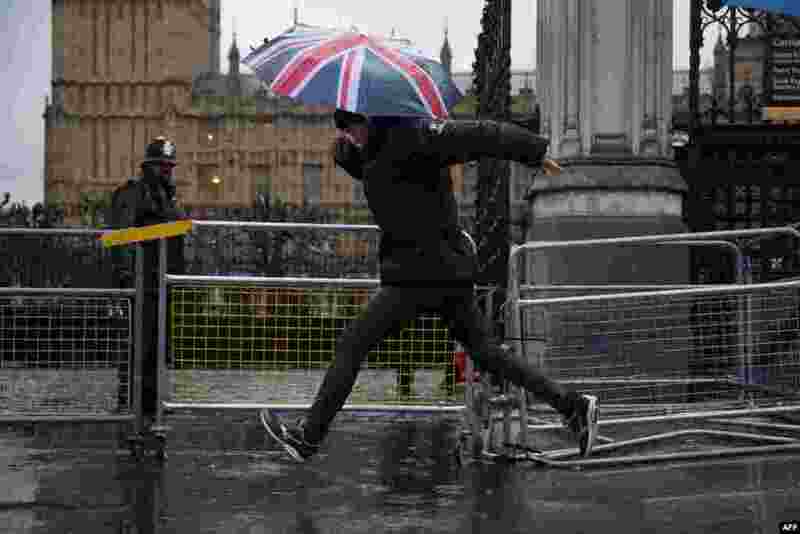 6 A pedestrian jumps over a puddle on the pavement outside the Houses of Parliament in central London. 7 Nepalese Hindu devotees gather to bathe in the Shali River on the outskirts of Kathmandu, Nepal. 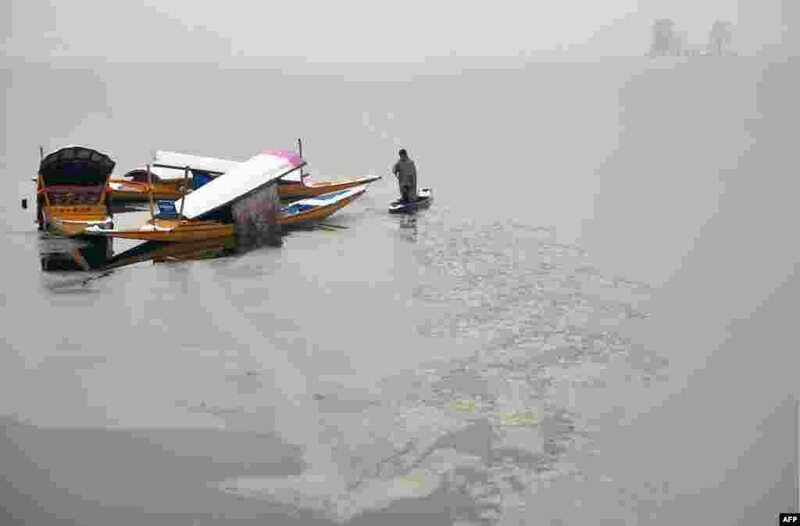 8 A Kashmiri boatman uses his oar to break the ice layer of the frozen Dal Lake after a heavy snowfall in Srinagar.